British Columbia is a Canadian province that borders the U.S. states of Washington and Oregon. Unlike their neighbors to the south, however, BC offers legal sports betting to residents and visitors alike. In this article, we’ll be looking at the state of sports betting in British Columbia, as well as listing some of the teams you can wager on. Please keep in mind, however, that I am not an attorney. While I believe that all the information in this article is accurate, it can never hurt to consult with a legal professional before launching your career as a sportsbetting expert. Sports betting is legal within the province, but all activity is controlled by the British Columbia Lottery Commission. This organization ensures that guidelines for quality and fairness are met, and you can always reply on prompt payment for any winning tickets. BCLC products are sold at retailers across the province, and they’re most commonly found in hospitality, retail, and gaming establishments. The minimum wager on a ticket is $2, while some games allow the player to wager a maximum of $100. A minimum of two games must be picked, and all predictions must be correct in order to win (or nearly all, in a few cases). • Oddset 2-Outcome – Much like the previous option, although the player only need to choose between “home win” and “visitor win.” Anywhere from $2 to $100 can be wagered, and two to six sporting events can be selected. In the case of a tie, the player receives an automatic payout at 1.00 odds. • Oddset Combo – This option allows you to play multiple oddest games on one selection slip. • Point Spread – Bet against the point spread on two to 12 games. Bets start at $2 and can go as high as $20. Two out of two correct predictions doubles your wager, while 12 out of 12 pays out 475 times your bet. • Over/Under – Predict whether the final score of a game will be above or below a specified number. Bets range from $2 to $20, and anywhere from two to 10 sporting events can be chosen. Going two for two doubles your wager, while 10 out of 10 pays 225x the initial bet. • Toto – Predict the outcome for 11, 12, or 13 games in one of the following categories: hockey, football, or basketball and soccer. Your predictions are compared to other players, with the highest score winning the prize pool. • Props – Wager from $2 to $100 on whether a specific event will occur during a game (such as a powerplay goal). From two to six games can be wagered on, and payouts are determined by taking the amount you wagered and multiplying it by the total odds. Internet sports betting and casinos are legal in British Columbia, so you can log on and wager your money without fear of the government getting involved. Better yet, the odds provided by competing virtual bookies are often superior to those found in BC convenience stores. • Capilano University – The Blues field varsity teams in sports ranging from basketball to volleyball, and they captured a 2008 national title in soccer. • Fairleigh Dickinson University – This is the rare case of an American university operating an international campus. Even though they’re in Canada, the 16 varsity teams known as Knights compete in Division I of the NCAA. The women’s bowling team has captured two national titles. • Kwantlen Polytechnic University – The Eagles field teams in golf, badminton, men’s and women’s soccer, and men’s and women’s basketball. • Trinity Western University – This university sponsors 11 varsity sports, and the Spartans won a total of nine CIS national titles from 1962 until 2015. • Simon Fraser University – Located in Burnaby, this public research university fields 15 varsity sports teams known as the Clan. Despite being in Canada, they compete in Division II of the NCAA. • University of British Colombia – Also known as UBC, this school fields various teams that are called Thunderbirds. Their women’s swim team has achieved notable success, winning 16 national championships as of this writing. • University of Victoria – The Vikes have men’s and women’s teams in the following sports: swimming, soccer, rowing, rugby, golf, field hockey, track, and basketball. • University of Northern British Colombia – The Timberwolves field four varsity teams and compete as members of the Canadian Collegiate Athletic Association. • University of the Fraser Valley – The Cascades men’s basketball team won national titles in 2000, 2002, and 2004, while the women’s program has won 10 provincial championships. • Quest University – The team name of their programs is Kermode, which is a type of bear found in certain regions of British Columbia. Their basketball and soccer programs made their debut in 2007 and 2008. 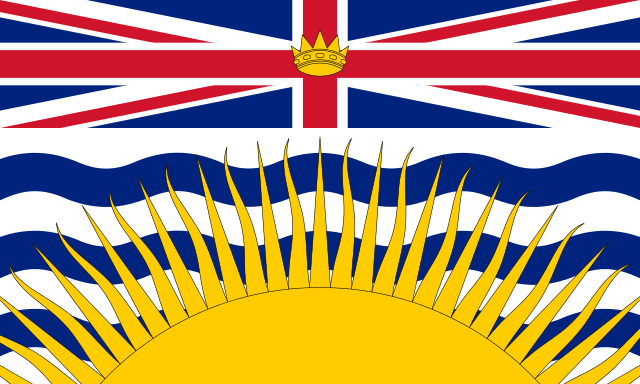 Between online sportbooks and the legal betting offered by the provincial government, British Columbia has plenty to offer gamblers. The local form of gaming does impose limits to protect citizens, however, so anyone who fancies themselves a high roller may want to turn to an online bookie. In either case, this is far superior to what’s available in any American state outside of Nevada.